Known as the Genesis in my neck of the woods, it's unknown if/when SEGA's mini console will be released in other countries. This article has been updated - see below. 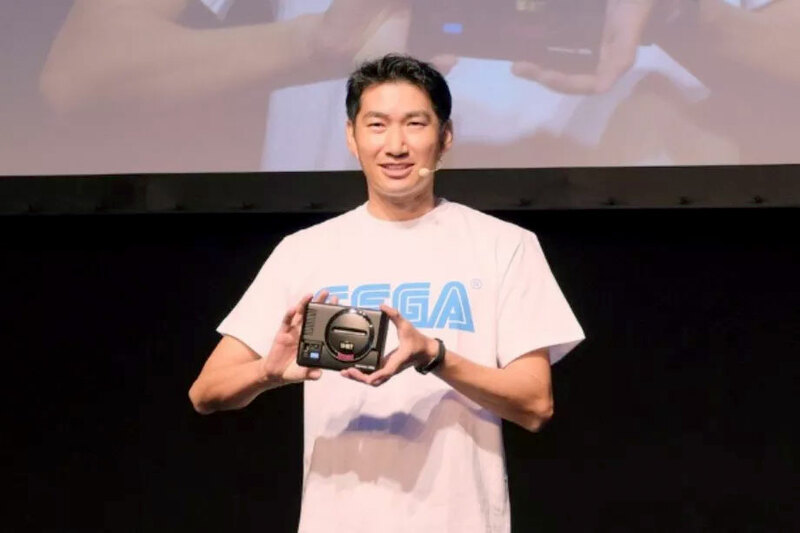 Amidst recent rumors that SEGA wants to re-enter the hardware market, a mini console (similar to Nintendo's recent minis) will be released in Japan, as reported by Polygon and others. 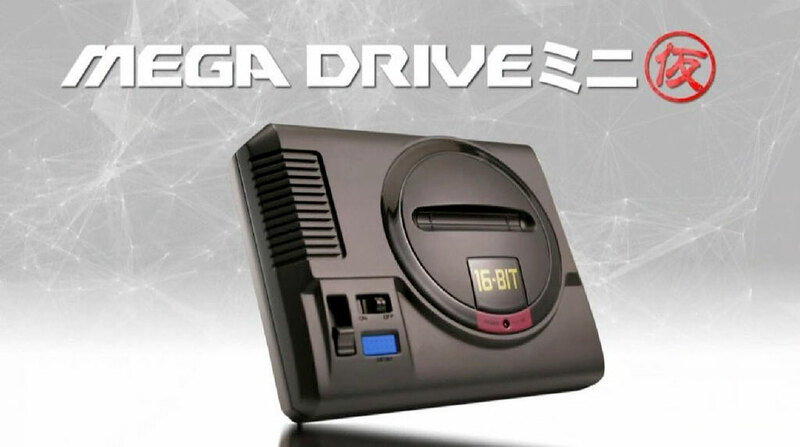 Coinciding with the 30th anniversary of the Mega Drive (aka Genesis) the device takes a departure from the similar devices licensed to AtGames. The AtGames Genesis console, typically caters to casual gamers seeking a nostalgia boost and contained about 90 games built in to the unit. Unlike AtGames Genesis console, the SEGA mini has no cartridge slot for playing original Genesis game carts. SEGA's mini console replicates the look of the original console, but lacks the cartridge slot, making it quite similar to Nintendo's recent mini NES & SNES models. At this time we don't know when it wil be released in other countries, nor what games may be included. This seems to be a very preliminary announcement since we don't even know how many games it will contain. AtGames devices have trained us to expect 80 to 100 built-in games, but Nintendo's minis delivered far fewer titles. Nintendo's success may change the standard and incline SEGA to release a mere 20 or 30 titles too. There's a fair amount of mystery considering how the press is touting this as a SEGA announcement. A device of this kind, would ordinarily come with a lot more info, especially if it will be ready to ship in Japan in 2018. One would think more info would be available at such an announcement. Stay tuned. More info has to be forthcoming and we're confident the big media outlets will beat it out of SEGA. This could be an interesting Christmas if Nintendo, SEGA, and AtGames all push consoles to market. Many of us purchased Nintendo mini consoles and will likely be eager to try SEGA's new entry. Where will this leave AtGames? 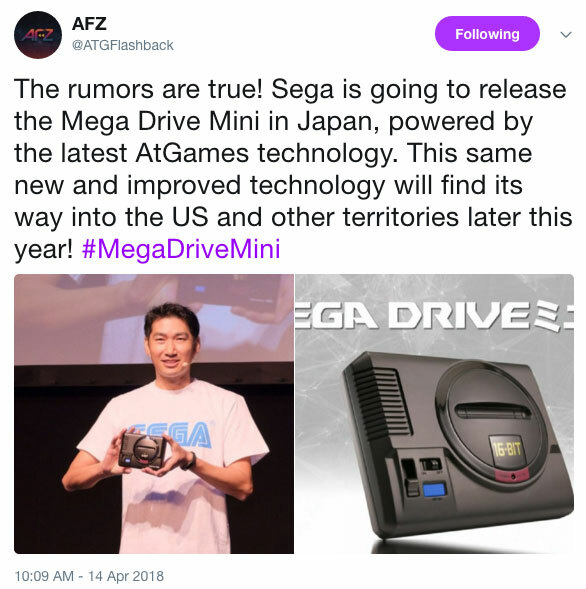 AtGames chimed in via twitter stating their "technology" will be driving SEGA's mini console and that it would see wider release toward the end of the year. Regarding the background technology (presumable the emulation) they hint at a new technology stating it will be used in AtGames consoles as well. In a follow-up, AtGames said other versions will have a cartridge slot, despite the lack of one on the Japanese release. The Holiday season is looking more and more interesting!